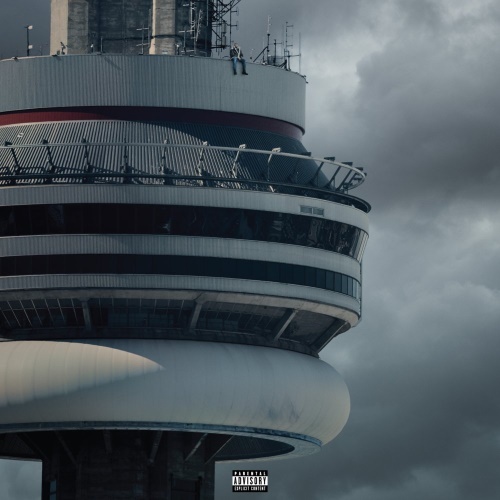 Canadian rapper, Drake's fourth album Views is probably his most anticipated release to date. It's been almost three years since his 2013 release Nothing Was The Same. Since then alot has happened such as Drake's partnership with Apple Music, Drake's beef with Meek Mill and his growing friendship with Grime MC Skepta. Sure you've heard last summer's breakout single "Hotline Bling" and seen the memes, but what else does Views have to offer? Views is supposed to follow the four seasons in Toronto but apart from the weather sounds between some songs, this concept is hard to follow. It's also strange that "Summer Sixteen" isn't on here. The Caribbean influence is heavy on this album; from the patois Drake uses which is sometimes used wrongly such as, "linking me down on my line," which Drake sings on "With You". To featuring Beenie Man and Popcaan and even songs like "Controlla", "Too Good" and even "One Dance" which have obvious Reggae and Dancehall influences. Drake being emotive is not a problem, what is a problem is the way he expresses it. With songs like "Feel No Ways" he is being expressive while still being entertaining, but on songs like "Keep The Family Close" it seems that he's just wallowing on. "One Dance" is one of the album's best songs - it samples Kyla's UK Funky classic "Do You Mind," which is a surprising choice as it wasn't clear that Drake was a fan of the genre. Its interesting that the Kyla's original has been transformed to a mellow Dancehall song. It's even more surprising that the transformation works. The album's best song is probably the aptly titled "Too Good", on which Drake explains about difficulties he has dealing with his girlfriend. Rihanna plays the part of his girlfriend and although she'll help bring a bigger audience to the song, she adds little sonically. This would have been better as a solo track. "Views already a classic" - Drake on "Hype"
Views is bloated, 20 songs is too much and it's a relief when you get to the end. Not all of them are good, so there's no reason for there to be so many. Drake hinted that he'd release more music following the album (and he did) so I'm not sure why he tried to cram so much music into one project. You could delete half the album and be left with a really good batch of songs, unfortunately though Drake didn't dot that. So you must deal with *alot of fat* to get to the good stuff. Poor choice Drake.